Pittsburgh Chapter announces winner of 2019 $1,000 Student Scholarship. 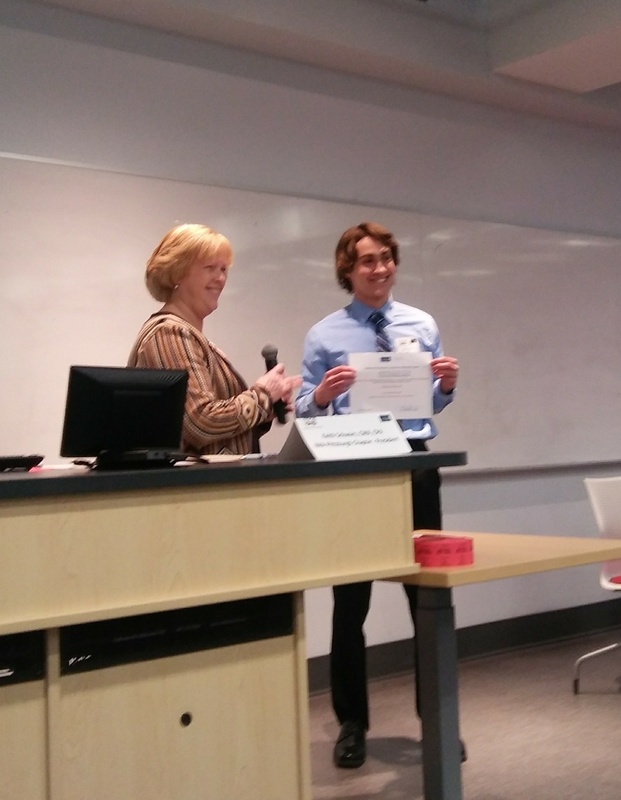 Pittsburgh Chapter Board Member Carolyn Wolfe presented the 2019 $1000 Scholarship to RMU student Nick Skinner at Student Night, held on March 27, 2019 on the campus of Robert Morris University. Over 75 students, faculty, and IMA members were in attendance for our 2nd Annual Student Night. Nick was very appreciative of the scholarship. The 2019 IMA Pittsburgh Chapter Scholarship application will be available on the Chapter website in December 2019. 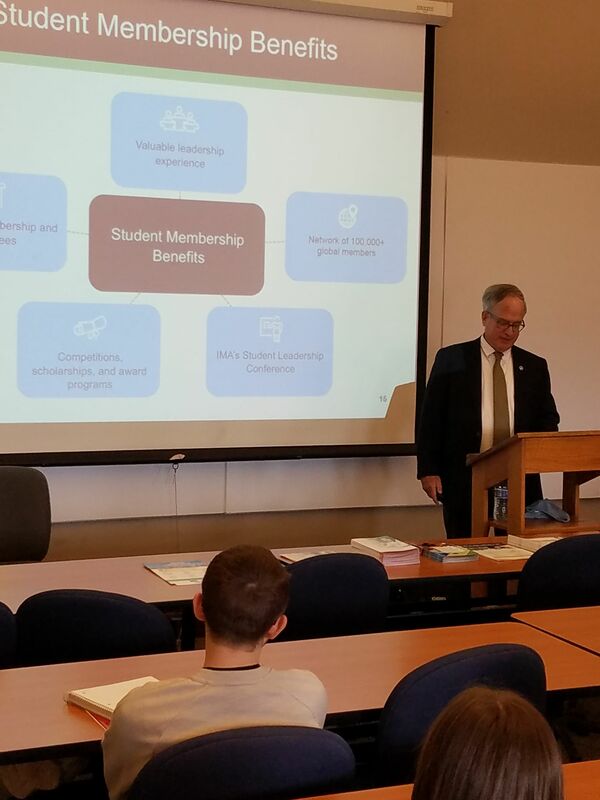 On April 2, Tim Abbott and Mike Ralph presented to the Managerial Accounting class at St. Vincent College regarding the IMA, the CMA exam and how to start a Student Chapter. Many thanks to Eva Kunkel for inviting us to her class to explain the benefits of becoming a CMA while still a student in college.